The long, national nightmare is over and President Trump has been vindicated. The corruptly-created and constitutionally abusive Mueller investigation failed to find any evidence to support the big lie that the Trump campaign colluded with the Russian government. We’re pleased that AG Barr rejected Mueller’s attempt to smear President Trump with obstruction of justice innuendo by concluding that no such charges could be credibly sustained. 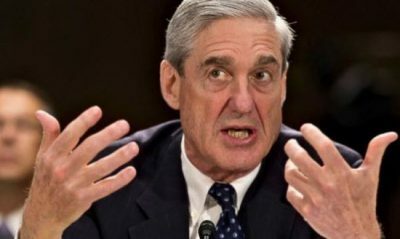 Frankly, Mueller never had a valid basis upon which to investigate President Trump for obstruction of justice. Let’s be clear, neither Mueller, the Obama FBI, DOJ, CIA, State Department, nor the Deep State ever had a good-faith basis to pursue President Trump on Russia collusion. Russia collusion wasn’t just a hoax, it is a criminal abuse, which is why Judicial Watch has fought and will continue to fight for Russiagate documents in federal court. The targeting of President Trump served to protect Hillary Clinton and her enablers/co-conspirators in Obama administration from prosecution. Attorney General Barr can begin restoring the credibility of the Justice Department by finally initiating a thorough investigation of the Clinton emails and related pay-to-play scandals and the abuses behind the targeting of President Trump.